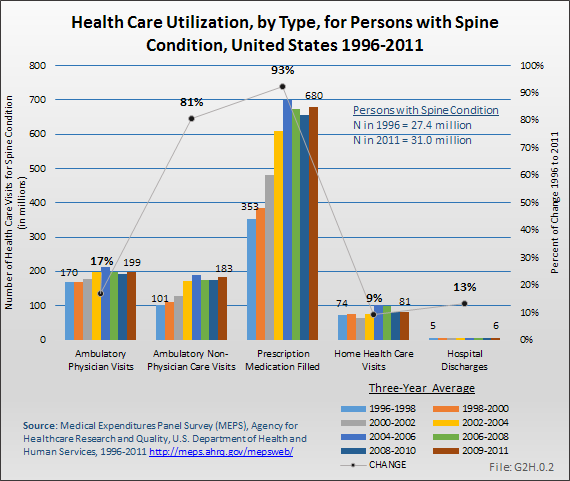 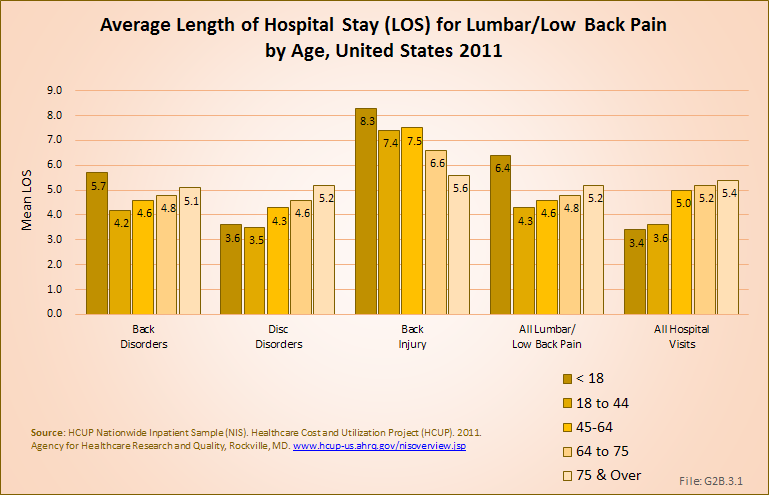 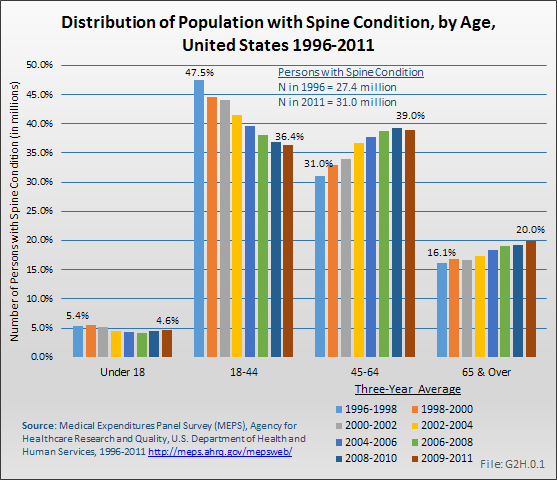 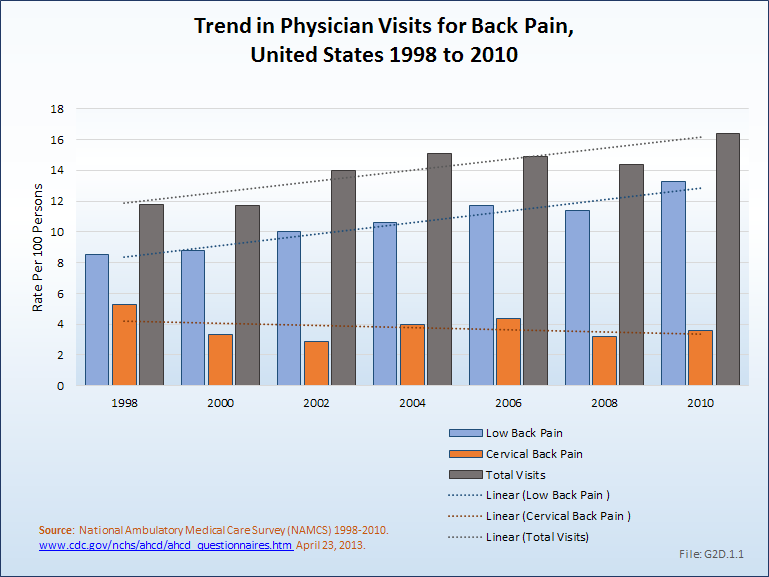 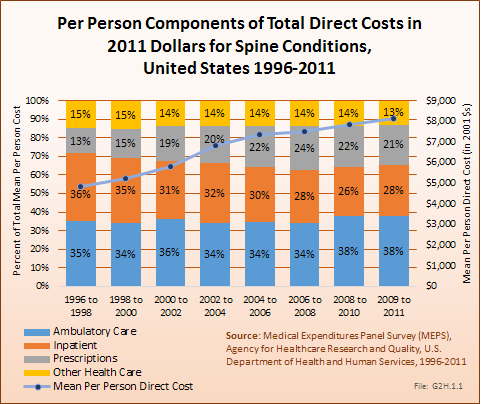 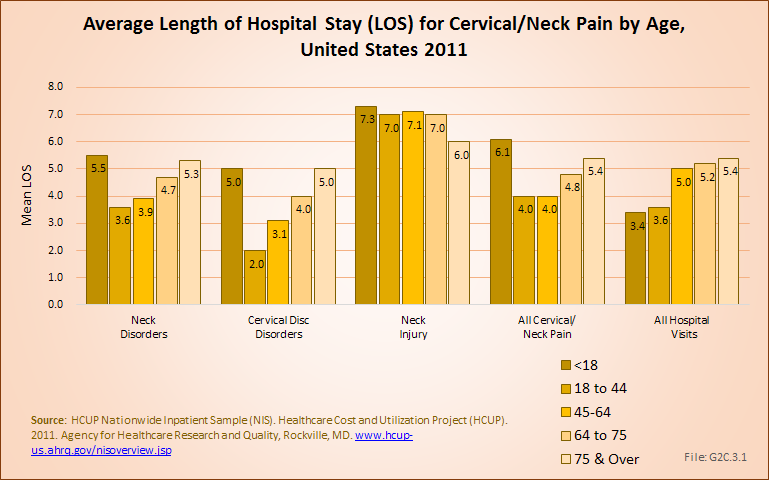 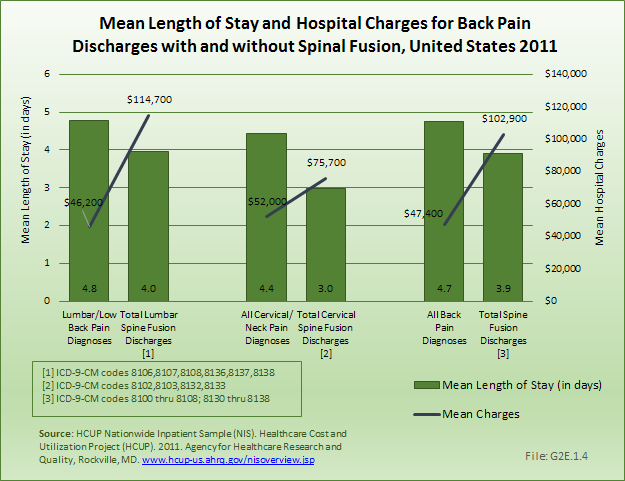 Although the mean length of stay for spinal fusion has decreased from 4.7 days in 1998 to 3.8 in 2011, the hospital charges for these patients have increased significantly. 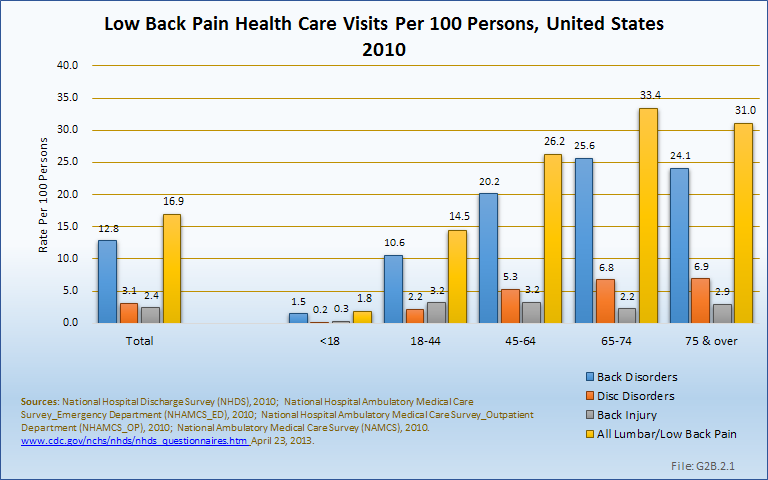 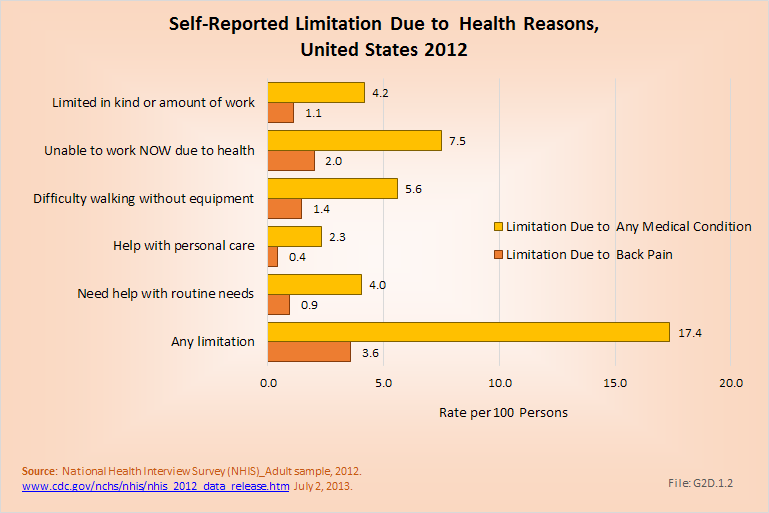 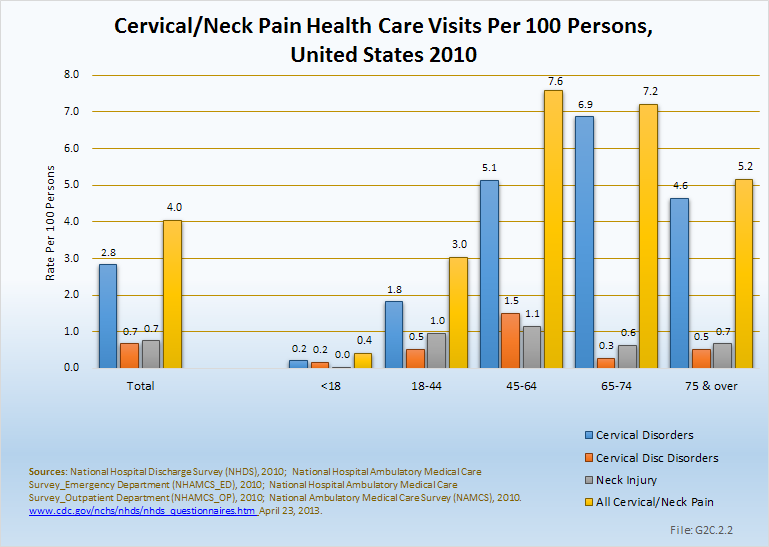 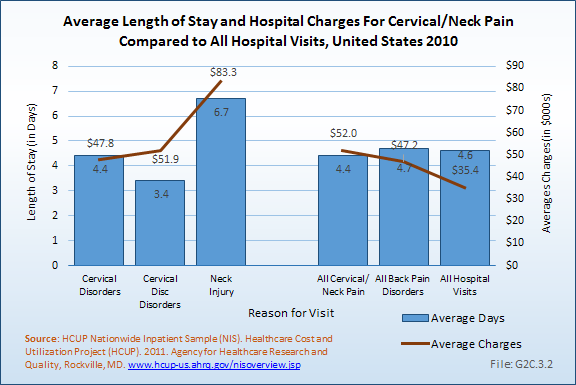 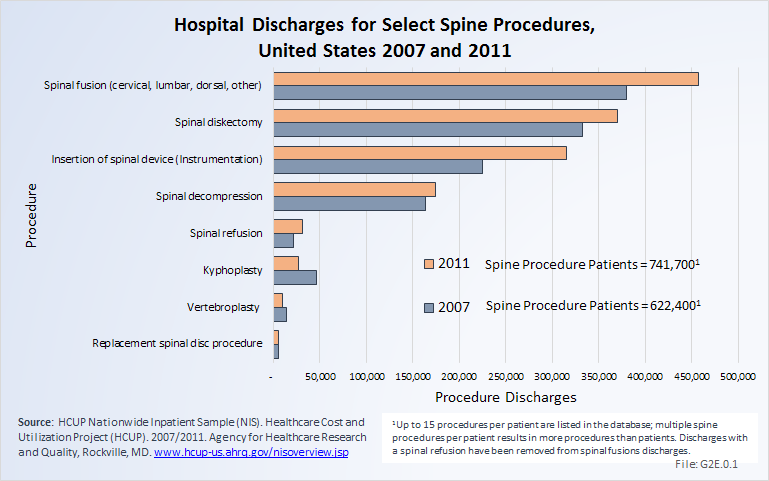 The mean hospitalization charge in 1998 was $26,000 ($36,000 in 2011 dollars); while in 2011 the charge was $102,000. 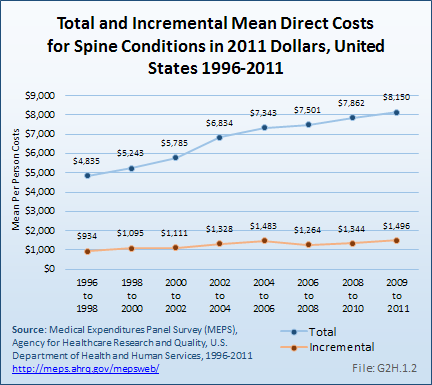 An increased use of instrumentation and biologicals (mainly bone substitutions) contribute to the higher cost. 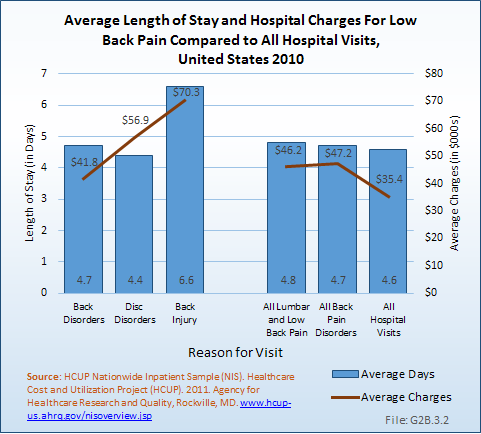 The total increase in hospitalization charges rose from $5.4 billion ($7.4 billion in 2011 dollars) to $46.4 billion over this 14-year period, an increase of more than 750%. 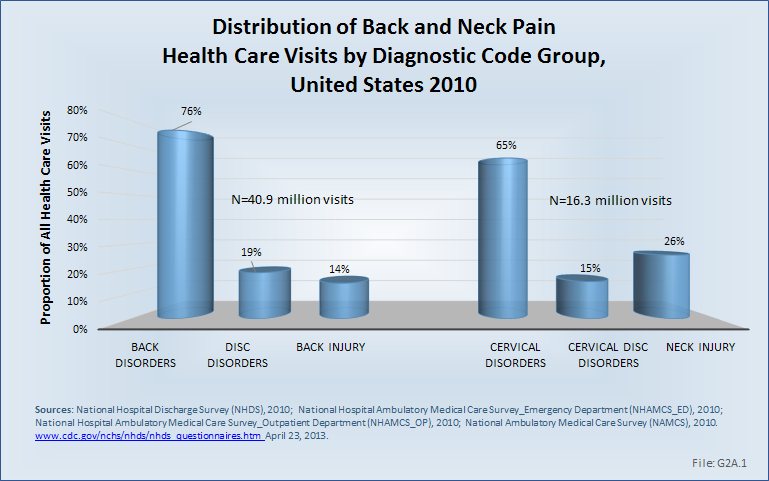 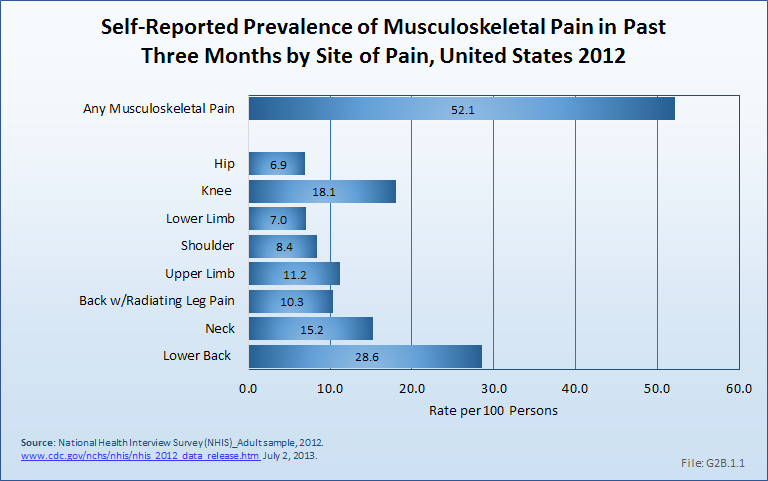 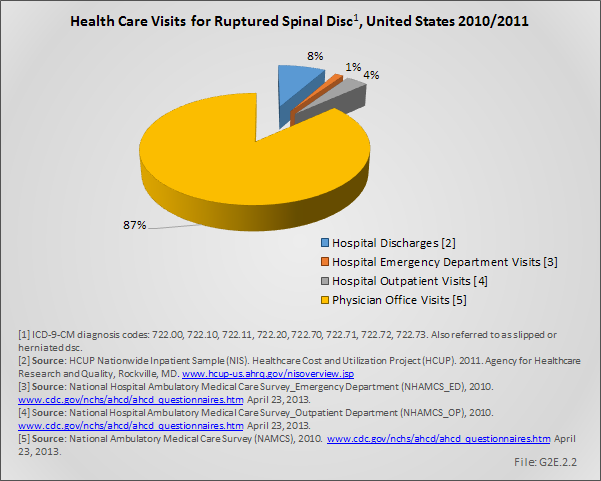 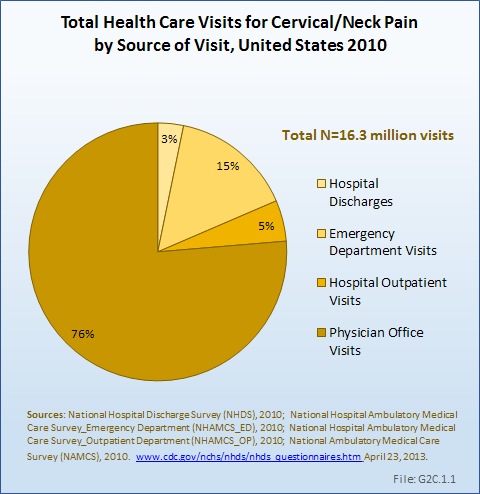 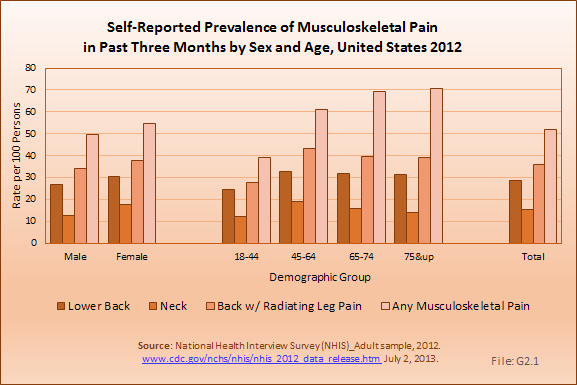 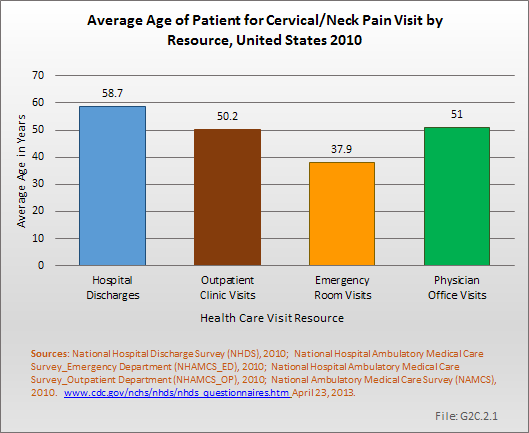 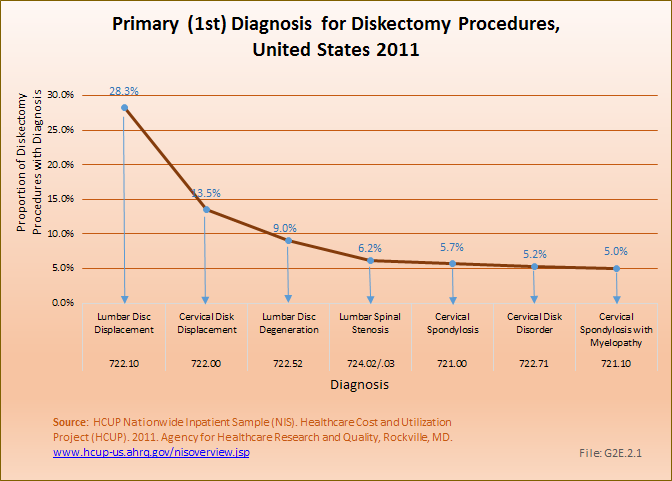 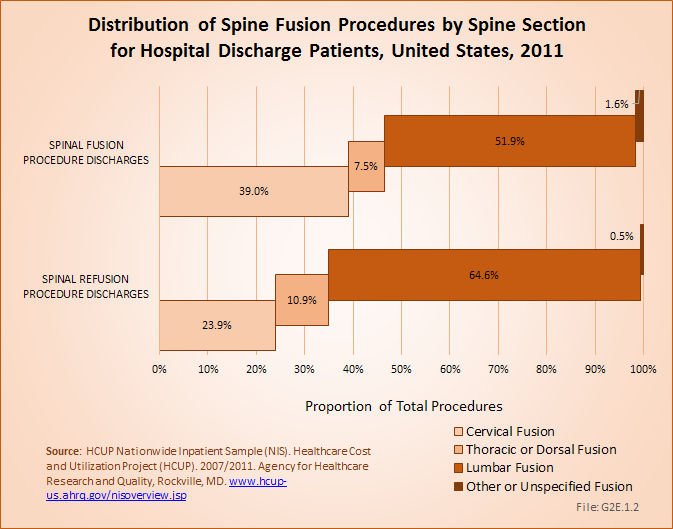 Spinal refusions are even more expensive, with an average charge of $123,000 in 2011. 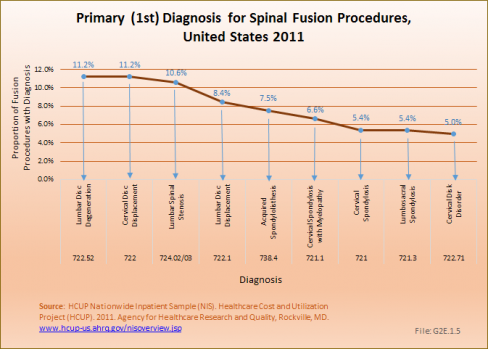 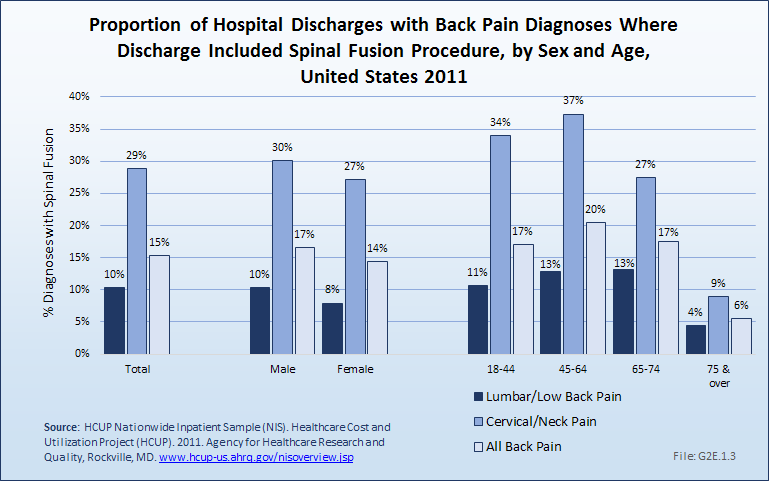 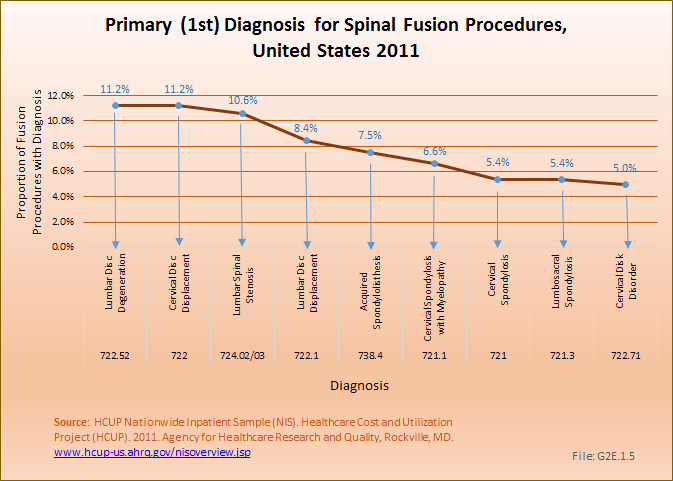 However, because spinal refusions are a small proportion of all fusion procedures, they account for only 7.5% of total 2011 charges. 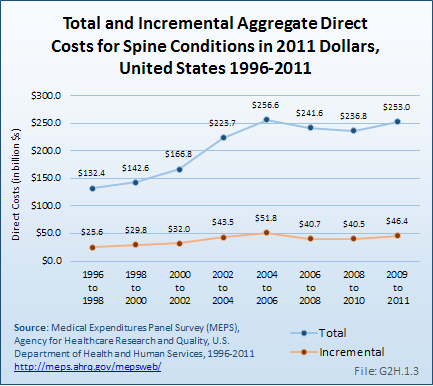 This, of course, does not mean that cost or reimbursement was even close to these dollar numbers. These charges are based on what hospitals set as their charges, and do not reflect the contractual agreements they have with the payor community. 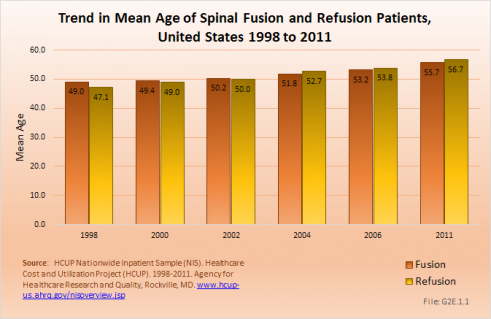 Likely explanations for the increase in spinal fusions are advances in technology, including the development of new diagnostic techniques and new implant devices that allow for better surgical management. 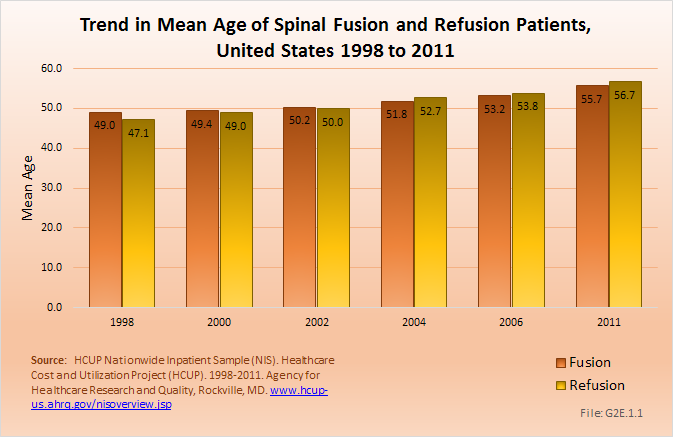 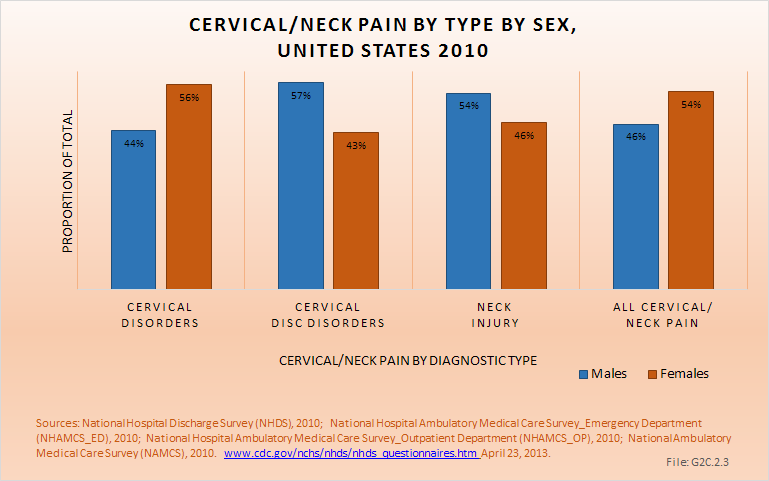 In addition, there has been increased training in spinal surgery and the population has aged, bringing with it the inherent medical problems that aging incurs. 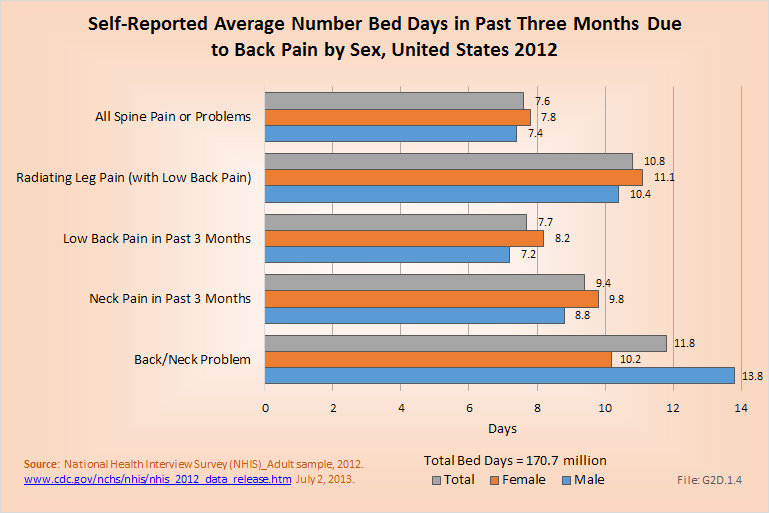 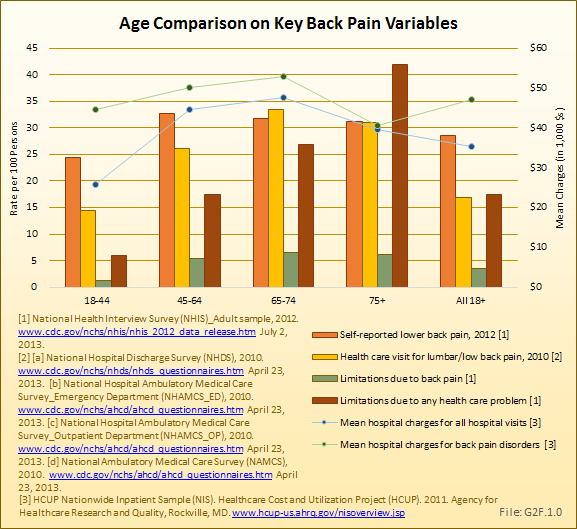 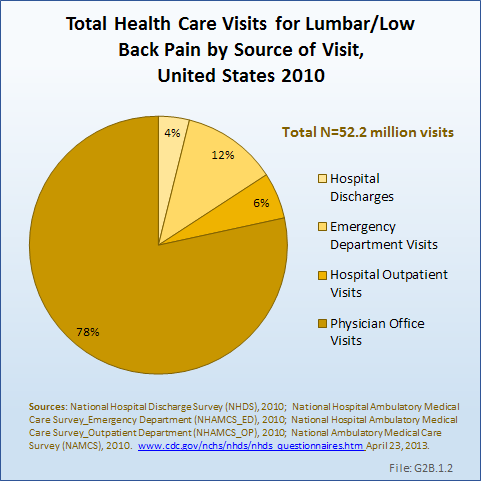 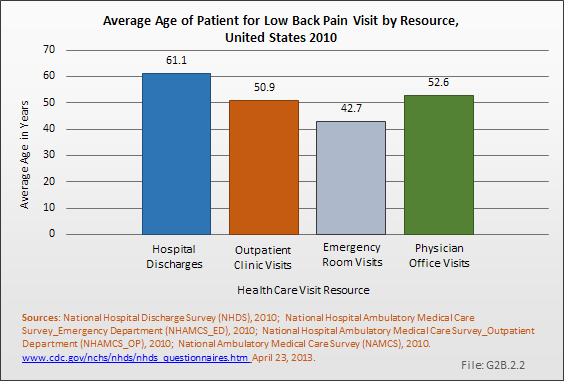 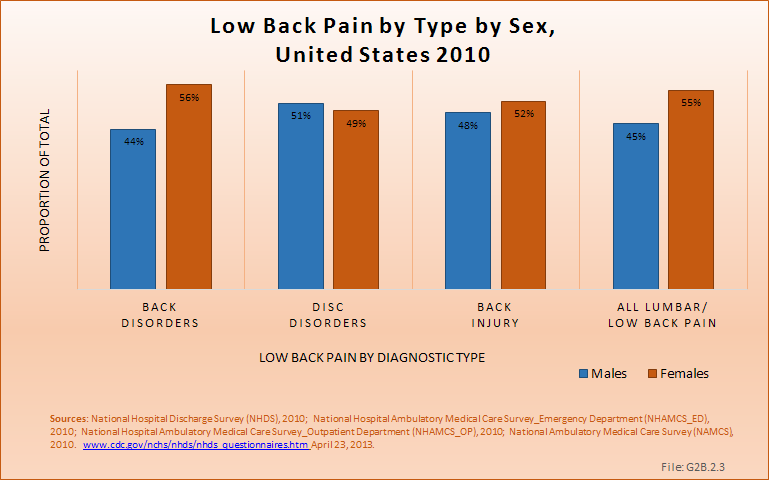 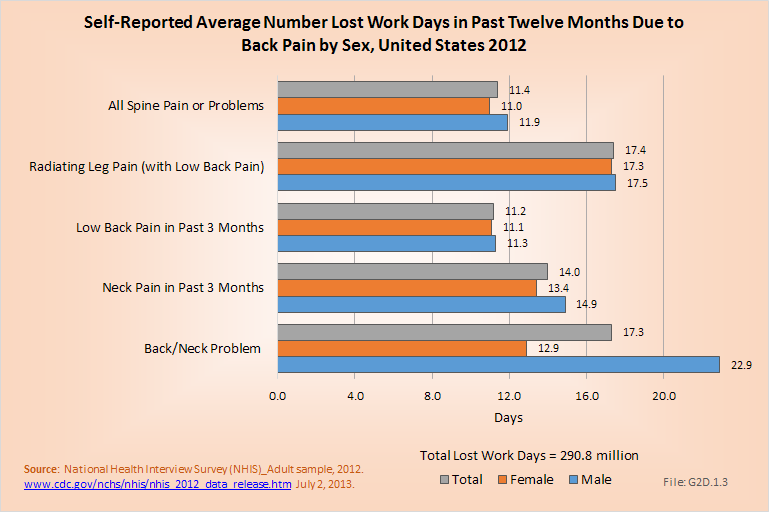 Further, quality of life expectations have increased, making patients less accepting of an ongoing back problem and more likely to look for a surgical solution.